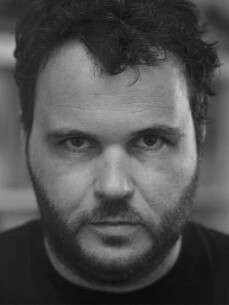 Hailing from Mainz, near Frankfurt, Germany, Ian Pooley, alongside other nu school German artists such as Mousse T and partner in crime, DJ Tonka, has been swapping the traditional hard trance/techno sounds typical of some German clubs for the funky and sublime sounds imported from America, to great affects. Pooley has been bridging the gap between techno and house, creating superb tracks such as the massive 'Celtic Cross' and 'Chord Memory', as well as recording more housier and disco orientated workouts for labels such as John Acquaviva's Definitive Records, Effective Records and N.R.K Sound Division. Ian has also Remixed for Daft Punk, The Cardigans, The Beloved, Green Velvet and many more. By refusing to pigeonhole his sound, Pooley records have graced the record boxes of DJs as diverse as Dave Clarke, Justin Robertson, Dave Angel, Judge Jules and Terry Farley. As you would expect, Ian Pooley as a DJ mixes up the latest dancefloor favourites, regardless of BPMs or origin. Cutting up disco house and Chicago trax, New York wild pitch and Detroit techno, Ian covers the whole musical spectrum in his sets, and can adapt to purist house clubs and techno nights alike. Ian has recently aired his DJ skills on the Radio 1 Essential Mix, and a new album called 'Meridian' (V2 Recordings) has received excellent reviews.